You've come to the PaperCraftCentral Craft Store where you can find information about the stamp sets, cardstock, inks, tools, scrapbook supplies and embellishments I use on the site. The Craft Store also offers you an opportunity to order some of your favourite things. It's a pleasure to create and share with you all. Check out the Papercraft Supplies where you can find things available to readers and subscribers around the world. If you live in Australia and would like some of the Stampin' Up! products I use here and you place an order with me for your own favourite Stampin' Up! supplies, you will be helping me to meet the costs I have in keeping PaperCraftCentral on the web. I would really appreciate it if you would consider placing an order with me now and then if you live in Australia. As an Independent Stampin' Up! demonstrator, I have a Stampin' Up! site called SusanSalutations where you can purchase supplies if you live anywhere in Australia. My site has even more creative work that can help inspire you to make your own cards and scrapbook pages. Click on my Blog when you get to my Stampin' Up! site. I hope you enjoy searching my Stampin' Up! site and find some more papercraft project ideas. They will be regularly updated too so check back at the Craft Store or to my Stampin' Up! site often. If you would like to have help to design layouts by having a whole lot of ready-made sketches at your fingertips, I found this craft store offer for you. I believe it is priced well as you will receive 500 sketches and another useful resource when you purchase it. BONUS: It is available world-wide as it is a downloadable resource. No matter where in the world you live, look for a particular crafty book or product. 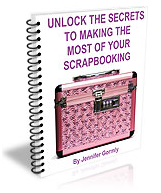 I suggest using the keywords scrapbooking, cardmaking, photography or organization & storage when you search. If you like what you see at both PaperCraftCentral AND you live in Australia, you may have seen some Stampin' Up! stamps, scrapbook supplies or tools you like. If you wish to have some of these supplies for your very own, I can help you with that. 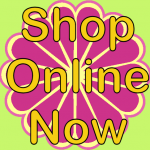 Just shop now! Browse the Stampin' Up! Ideas Book and Catalogue for inspiration or before you place an order. You can go to my craft store there from here by clicking on the picture to the right (the catalogue will open in a new window for you). If you live in Australia and are interested in joining Stampin' Up! I can help you with that. Just Click on 'Join The Fun!' at the top of the page to find out more. 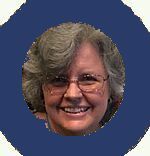 It really is worthwhile to join Stampin' Up! You get great discounts and incentives when you join, and you also get extra help and support from me. If you live outside Australia, I hope you still enjoy the pages of projects and ideas I have shared with you on PaperCraftCentral. You may find a Stampin' Up! 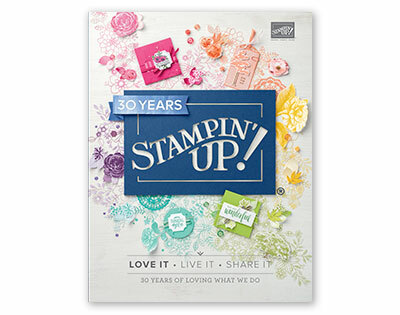 demonstrator in your country by searching the Stampin' Up! international site. Stampin' Up! has expanded from the USA into Canada, including Quebec, Australia, New Zealand, France, Germany, Holland, Japan and the United Kingdom. Search for a demonstrator near you and join them, but tell them I sent you! Lol! What a creative way to use the Big Shot dies! Here is an example of some beautiful handmade and unique children's clothing embroidered with Big Shot die shapes by Kim of KayCey Bee Designs. If you would like to order any of these exclusive outfits, please do contact me below and I will put you in touch with Kim. Here are some more of Kim's one-of-a-kind children's clothing. She makes the designs up herself. I think she is so talented! Aren't Kim's clothes beautiful and fun? You can obtain some of the Big Shot dies used in the making of the clothing, or even purchase a Big Shot machine and/or current dies from me if you live in Australia. Again, contact me here at the Craft Store for more details by scrolling down to the Contact Me form below. Check out the listings on the Papercraft Supplies page for other interesting offers and ideas. I find certain tools and accessories that help me craft from time to time and like to let you know about them as well. Have you ever wondered how I built PaperCraftCentral? I'd like to tell you a little about that. I discovered that I was passionate about paper crafts. I was making paper projects in all of my spare time. People would see this and they began to ask me questions about how to make things. Now I build pages on PaperCraftCentral whenever I craft so I can share them with you. SBI even taught me how to build my 'Craft Store'. PS: You can live anywhere in the world and build a business with SBI. You don't have to live in Australia to own your own web business. Do you also have something you are passionate about? It doesn't have to be about paper crafts. Do you want to share your passion with the world and build your own online business at the same time, just like I'm doing? The people who helped me build this site are all at Site Build It (SBI) the most amazing, organised, helpful, informative place for building a business on the web. Are you concerned about the way the economy is going and about your job security? Creating your own web business at home may become a lifeline for you. Do you want to stay at home with your children but still need to have an income? SBI can show you how to do that. Do you have no idea about how to start a web business? SBI shows you how, step-by-step. I knew no html code when I started but I learned some along the way, when I was ready. In fact, it isn't necessary to know any computer language to build your own web business with SBI. Maybe you just want a space to share your own paper crafts and earn little bit of extra money for your craft supplies? See if SBI is right for you. It could help you to achieve those goals and more. On the other hand, are you feeling a little unsure about starting a web business? 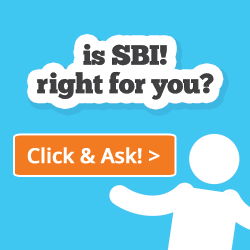 Are you a little unsure about the kind of support you could really receive from SBI? Do you feel you want to know more about some strategies for having a successful web business first? Well, that reminds me of another free gift I can give you from my Craft Store. What if I gave you a free 82 page Master's Course written especially for Stay At Home Mothers, all about how you can build a successful web business? This free course is just a sample of the type of information and support you will receive when you start building your own ebusiness with SBI. It will help you gain an insight into how things work at SBI. Click here to start reading your free Work At Home Mother's Masters Course. If you want to print a copy and review the e-book offline, feel free to right-click to download and save it to your own computer. Maybe you don't feel comfortable studying a course at home. Many people need the extra support of having a trainer and some class mates to go with them while they are learning some new skills. If this sounds like you, perhaps the SBI e-learning course could help you. The elearning course provides you with more support while you are discovering how to build an online business. I have written more about it if you would like to have some extra information.